Zip lining is a worldwide sensation that has been attracting thrill seekers, nature lovers, and enthusiastic, fun-craving kids alike. It is one of Costa Rica’s most popular adventure activities and is offered in all different destinations around the country. Costa Rica is the ideal place for zip line tours because of the abundance of national parks, reserves, and variety of forest ecosystems. Zip lining is a unique way to experience the rainforest, cloud forest, or dry forest from above, while also learning about the flora, fauna, and conservation efforts of the specific area that you are zipping through. Hacienda Pozo Azul Canopy Tour is the best choice if you are in or around the province of Heredia. This tour includes nine zip lines and 11 platforms. The biggest cable crossing is at the end where zip liners will cruise 900 feet (275 meters) over the Sarapiqui river canyon. Adventurers will start their tour with a comprehensive instruction and safety orientation. All guides are highly trained in operating this tour, as well as serving as naturalists. Experiencing the forest from the canopy is an experience like no other. Refreshments and local fresh fruit are served during this three-hour tour. The Paraiso Rainforest Zip Line Tour has 11 cables and 12 platforms that span through the Arenal river canyon. This is a unique way to become immersed in the rainforest where you are likely to encounter monkeys and a variety of birds. This tour is a perfect blend of adrenaline pumping fun and nature education. The views of the primary forest, river, and volcano are spectacular and, regardless of your age, zip lining will make you feel like a little kid again! Arenal Paraiso is also a fabulous hotel to stay at and they offer a great selection of other tours in the area too. Selvatura Canopy Tour has one of the longest zip lining tours in the country. With 15 cables and 18 viewing platforms, this tour is over two hours of fast-flying, nature-soaked fun. 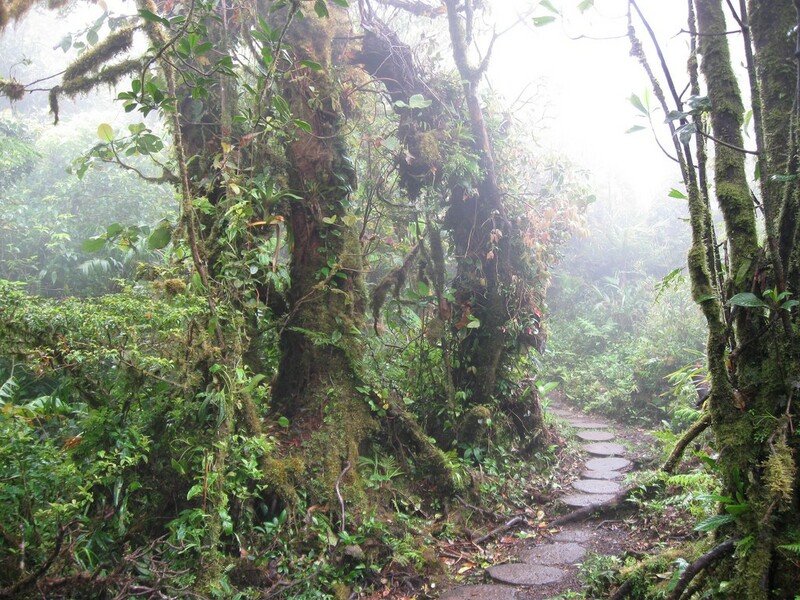 Adventurers will zip from tree to tree through the magical cloud forests of Monteverde. For the real adrenaline junkies in the group, there is an optional Tarzan Swing. There are also eight suspensions bridges for those interested in spending some more time in this lush and lively forest setting. And that’s not all. A captivating and educational natural history tour is also offered for those interested in learning more about the unique flora and fauna and cultural history of this special region. Journey into the heart of the rainforest on the Caribbean coast on a combination hiking and rainforest zip lining tour. Tours will be led by a bilingual and highly knowledgable naturalist and expert zip line operator. There are 8,202 feet (2,560 meters) of cables on this tour. 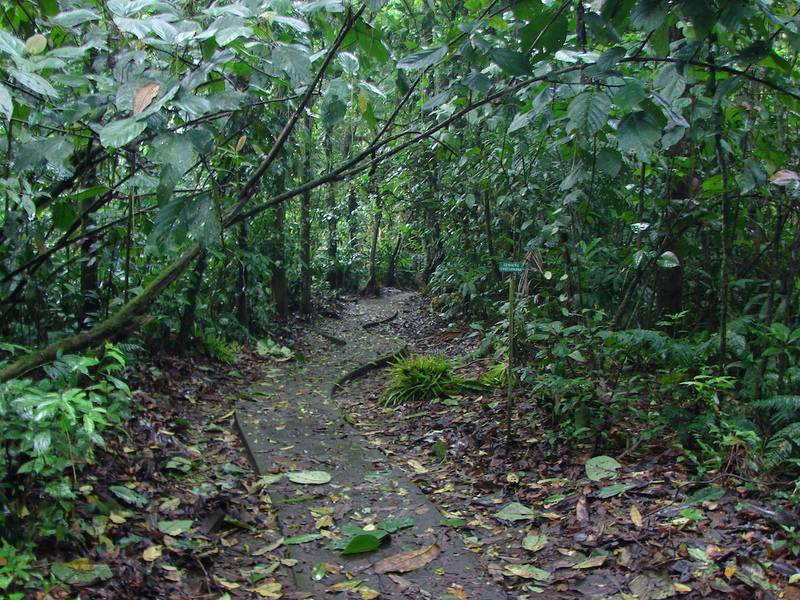 Part of your nature tour will also include information about how the indigenous tribes of the area use the plants of this forest for medicinal and culinary purposes. There is a lot to learn here while also having a thrilling adventure in the canopy. For an additional $10, those seeking a totally unique perspective can try the Superman position, which is where you will be connected to the cable using a special harness that allows you to fly over the canopy like Superman. 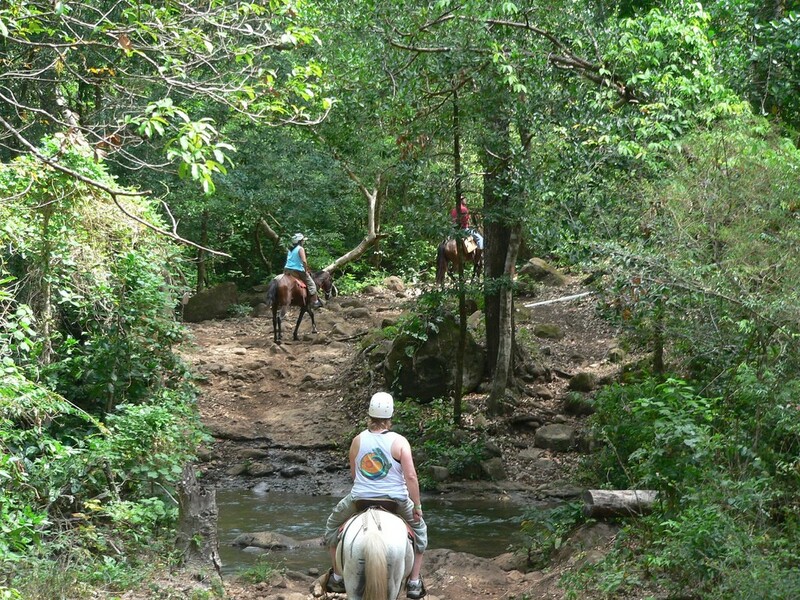 The Borinquen Adventure at Rincon de la Vieja is a combination of horseback riding, zip lining, lunch, and hot springs. Your adventure will start with a horseback ride where you will ascend mountainous areas and cross beautiful plains. You will have excellent views of the volcano and Pacific coast, as well. Following your horseback ride, you will zip through the forest via 10 long cables. During this time, you will also learn about the nature of this magnificent park. Then you will be treated to an exquisite traditional lunch before spending the remainder of your time soaking and relaxing in the natural geothermal hot springs. It’s really the perfect day. Located in Costa Rica’s blue zone on the Nicoya Peninsula, Wing Nuts Canopy Tour is a family-operated business that feels strongly about protecting the precious dry forest of this region while educating visitors about the unique plants, animals, and conservation efforts here. Visitors get to experience this beautiful zone from the canopy using a series of zip lines and platforms. Playa Samara is a tranquil beach town with a wide variety of other activities available. See the dry forests of Guanacaste from above and then head to the beach to cool off in the peaceful Pacific bay. Manuel Antonio is a must-visit place in Costa Rica. The rainforest and beaches of this area are jaw-droppingly beautiful. When you picture Costa Rica, you are most likely picturing Manuel Antonio. The Canopy Safari Tour is an incredible way to experience the rich tropical rainforest while having a thrilling experience zipping through the treetops. There are 18 platforms, 10 cables, a suspension bridge, and even a Tarzan swing for the fearless members of the group. Zip line guides are also experienced and knowledgable naturalists, so your tour will include a wealth of information about the forest and its inhabitants. There is a butterfly garden and serpentarium that visitors can check out following the canopy tour.